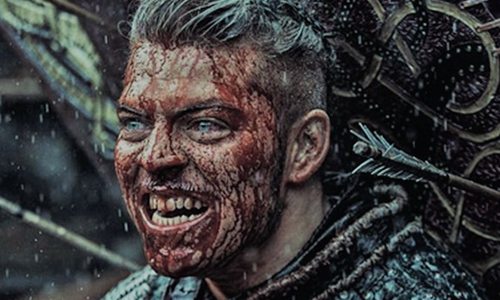 IFTN speaks with Morgan O’Sullivan the 'Vikings' Executive Producer and Managing Director of World 2000 Entertainment the Wicklow production company behind making the past 4 and currently 5th series of the historical epic drama for the History channel in the US. With shooting for season 5 officially wrapped, our interview with Morgan is timely as he and his team now begin work on post production for the new 20 episode season. Morgan speaks to IFTN about the ferocious year-long filming process for season 5, the huge scale logistics and writing abilities of Michael Hirst and his skilled team involved in bringing this internationally successful series to actualisation here in Ireland and his hopes for more productions of this scale for the industry here. As MD of World 2000 Entertainment, Morgan O’Sullivan and his team have brought several large-scale productions to Ireland. Along with Vikings they also currently make AMC martial arts action drama Into the Badlands and have been behind TV series such as Penny Dreadful, Camelot and The Tudors as well as past feature films such as Braveheart, King Arthur, The Count of Monte Cristo, Reign of Fire and more. Morgan received an IFTA for his Outstanding Contribution to the Irish Industry back in 2011 and more recently at this year's awards in April, he picked up another IFTA for Vikings which won Best Drama series. The series was also nominated across several other categories including Best Supporting Actor for Moe Dunford, Best Director Drama for Ciaran Donnelly, Best Production Design for Mark Geraghty and it also won an IFTA for Best Makeup & Hair a well deserved feat for the outstanding art department and hair & makeup element of the show that at times see's an extensive array of actors and over 600 extras made up for scenes and battle ensembles, cue gallons of fake blood and an extraordinary prosthetics and SFX department. IFTN: Congratulations to yourself and the Vikings team for your IFTA win for Best Drama this year and other nominations. What does the win mean for you and the show? Morgan: It’s terrific. It’s important to get recognition in your own homeland and it meant a lot to the crew, the cast and everybody else. So it was a special moment for all of us I think. We all work as part of a team. The director works with the writer a lot and so does Mark Geraghty our production designer. We have a philosophy here that we are making Michael Hirst's vision. So it's very important that the design and direction and all of that is sustained by those individuals such as Ciaran Donnelly and Mark in order to carry that vision forward. We have a small tight knit community. What's interesting here is that Michael and I work a lot together and then there's everybody else. We formed a kind of creative unit, be it the director, the production designer, the costume designer a couple of those key people who certainly give feedback to Michael on scripts and pour ideas into scripts. 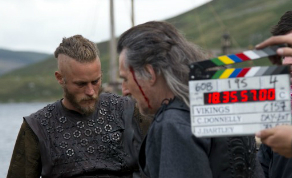 It's very much a team effort and that's what is really extraordinary about Vikings, along with the fact that Michael writes 20 hours of television all on his own which is some achievement. We've been doing that for the last number of years and intend to do it for the next couple of years. IFTN: You mentioned creating Michael Hirst's vision, as the show's writer how does one man go about creating such a large scale series? Morgan: Michael writes all of the episodes. So this year he wrote 20 hours of television and he's supported by Justin Pollard who is our researcher. He's incredibly disciplined, much of it is talent naturally, but to do this on such a scale takes extraordinary discipline. I don't know anybody else like him. When I accepted the IFTA I suppose he was the only one I singled out because of the fact he is so unique. I've worked with a lot of writers down through the years and I have never met anybody like Michael Hirst, to be honest with you. He's quite extraordinary and he's able to retain all of those ideas and complexities of the drama in his head and it's wonderful to see that in action. He says he takes the dog for a walk in the morning and that's when he works out all his plots. It's quite unique really. Television has such a ferocious appetite so writers like Michael are hard to come by. IFTN: The entire production is a team effort on such a huge scale as Executive Producer on the series since 2013 how has the scale of production and the efficiency of the show developed over the past 4 years? Morgan: Well, our idea each year is to try and raise the bar. For this year with season 5, we've raised it extensively. We've not only shot in Ireland we've shot abroad as well we went to Morrocco & we went to Iceland. So that has turned it into a huge operation from the point of view of logistics. You can imagine if there are 700 people working here then you're hiring another group of people in Iceland and Morrocco. You're having people go from here to Morrocco and Iceland and then you've still got people that have to manage the show in Ireland, so it becomes this logistical nightmare. Seamus McInerney is head of production management here, he's the guy who has all the headaches of having to put all of that together. But he & I have worked together for years, we go back to when we made feature films together and he's a wizard with logistics. We've a whole team though, like Breda Walsh, the line producer and a big team that deal with just the sheer logistics like the transport department and the scale of the thing is enormous. Even catering, we have days when Tara O'Sullivan, who would be in charge of the catering would be doing over 650 to 1000 meals and that's pretty challenging. The number of extras we have as part of the show is huge, even feeding them and making them up. The makeup alone you can imagine having to do up 600 people it's quite a task. It's as big as any feature film we've done. It's as big as Braveheart, which is amazing for a TV series. Well, I suppose this team is unique. Michael and I have worked with this team for the best part of 10 years now. It's not just Vikings all the same people if we go back were on The Tudors and Camelot. So we've had them together for a great number of years. I was amazed when Tony our Production Finance guy told me a couple weeks ago that we employ around 700 people for the show every week. It's a hell of a scale, so it's a big show. Our intention each year is to raise the production quality and production value and the great thing about this series is that you can use things from previous shoots you can remake it or refashion it and make it look different. You can build a whole town and change it into something else, which we've done that in many cases. So the sets we would build we are very good at recycling in a sense. A set can be used 3 or 4 times as something different from the original intention, but they are designed in such a way and if you have a really great art department and we have they can sort of milk it for all it's worth. IFTN: Having been associated with quite a number of successful TV series with such an international scope filmed in Ireland from Into the Badlands, Penny Dreadful, The Tudors and Camelot. How do you promote filming here in Ireland? Morgan: It's the kind of tone that we set for ourselves. What we said in order to promote Ireland abroad and to promote us as an industry is that when we go to US television and when we sell a series to US television we say look, we'll give you feature film quality in prime time so that's our main aim, to be better than the next guy so to speak. We've built the teams now because we do Into the Badlands which is another television series for AMC. It's a fairly large scale, big project and there's a lot of action in it. It's primarily martial arts so it has a very big action unit. So all of that is more logistics and expertise. So there are several teams here now that we've built over the years for Penny Dreadful and then James [James Flynn] did The Borgias in Budapest. So we have experience of doing other shows in other countries apart from Ireland. But Ireland is our base and our headquarters and the idea is to develop shows from here, make them here and then go abroad for the hot look or the particular look that we need. I think the best way to promote anything is to be better than everybody else and to do it bigger and better and it's also in the quality of the people we have and one of the things we have is people with such a body of experience now and it's not just one crew or two crews its multiple crews. I think we've got wonderful talent in this arena here and with doing these large scale shows both in the feature film area and in the television area has honed those skills. 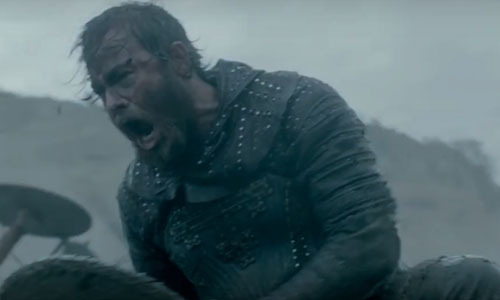 IFTN: There is a lot of Irish talent that work behind the scenes in the creation of Vikings it has also helped enable great opportunities and experience for upcoming Irish Directors? Morgan: Well, Stephen St. Leger started with us doing second unit directing on some of the very big battles we did in the past. We saw his talent then and both I and Michael decided he would be great to get to do an episode. So we did, we got him to do an episode and he just outshone and he's done more since that. He's done 5 episodes in season 5. His battles are just extraordinary what he does with them. He's a great eye and he's just a terrific Director. Just superb. So he's pretty high up in our list of who to call. Not just to single him out Ciaran Donnelly and a lot of the Canadian guys we work with are all brilliant and it was the same with Ciaran at the beginning and Dearbhla Walsh being involved in The Tudors we've been very fortunate with the directors we've had from Ireland because they've been outstanding. IFTN: How important is it to stay true to the historical accuracy of events within the writing of the show? How is this managed or fulfilled? Morgan: The extraordinary things about Vikings is that nothing is written about them. They didn't write about themselves because they didn't have a language. Well, they did have a language but they didn't have a written language. So, it's bad PR that's written about them as you probably already know. So it is mostly from the Christian point of view and the Christian's disliked them intently because they raped and pillaged so much of their territory and people and the rest of it. So it's difficult to say we are accurate or it's different. It's not like the later history which is really documented, this isn't. Justin Pollard our researcher really comes into his own. Justin has worked with us for years as a writer and researcher and he would write a lot of the background material for us and he's researched in Scandinavia in Norway and Sweden and the world now he's gotten information about the Vikings. I think we've found a lot of facts about them but at the same time, you don't want to watch a documentary you want to watch a drama and you want the characters to be in dramatic situations. So we take a certain amount of creative licence at least Michael Hirst does because it is he who ultimately decides how to tell that story but basically, all of these characters that we've got in the show existed in some sort of form. We have to entertain first and then hopefully we would inform and if we inform people enough they will go in search of the information themselves. If it points them in the direction of opening a book I think we've accomplished a great deal, because then we've hit a spark in them and they have a thirst for more knowledge about the subject matter. There's people who went to school and turned out hating history because of the manner in which it was taught and probably a lot of these shows have made people more interested in researching and now especially with the internet it's fantastic the amount of material you can get your hands on. The modern technology nowadays is just incredible. I think back to working in the film industry writing scripts and changing scripts and putting them on Telex machines and I can go back a long way but one of the things that were great about physically writing is that it makes you think more. The computer doesn't allow you very often to think for yourself but the pen and paper ain't bad you know. IFTN: Have you always had a particular interest in history? Morgan: I suppose Ireland lends itself to history in so many ways and we have a great tradition of making historical drama's too. If you go back to where I'm sitting right now in Ardmore studios The Lion in Winter (1968) was made here a lot of period dramas, The Blue Max (1966) all of those shows had a period they were about times gone by so to speak. That is why we have great craftsmanship. I suppose if you are doing anything in this country period lends itself to our skills and we compliment it immensely. IFTN: Drama is such a hot topic in commissioning investment right now. How have you noticed the trend and demand for content and buying changing over the years? Morgan: The competition when I started out, you could only sell to three networks ABC, CBS and NBC now I primarily work in the United States we don't put shows together that much in Europe. We mainly put them together in the United States, but now there are over 50 buyers in the US alone. Now some of them are very small buyers who can't afford the budget that we have. We're up in the kind of premier league, so to speak with the kind of budget we do ($100M). We are a lot less probably about half the Game of Thrones budget, but at the same time we are often expected to deliver something very akin to Game of Thrones and very often in the press we are compared to Game of Thrones especially in the American press we are constantly compared and they compliment us that we are of a scale of Game of Thrones, which is great. The reviews have been fantastic in America for Vikings in the sense that they've zoned in on the show and the actors and all of that kind of stuff but they also always talk about the art department and the scale of the show and how big it is being extraordinary. We have a huge following on social media and they have started to compare us to Game of Thrones which is interesting. I think when they see season 5 it'll blow your socks off. It really is. It's fabulous. It looks I just think looking at the rushes now and the cuts I'm really excited. Our feelings here in Ireland are that as a group to differentiate ourselves, there are 400 shows shooting in the world right now. So in order to differentiate from all those others and to stand out in the pack, we need to be better than everybody else and we need to be larger. In season 5 we said wouldn't it be terrific to see the Vikings on camels, that raises the bar tremendously and the great thing is in real life the Viking did all these things, they went to all of these lands. Our ambition, as you know there have been Viking artefacts found in North America and we'd like to end up or get to North America so that's a couple of seasons. IFTN: What are your ambitions for future filming and projects in Ireland? Morgan: We made a conscious move from feature film to television many years ago and the great thing about television is that you are doing it every day of the week. Whereas in the feature film business you might do a feature film once every 2 years. I mean doing television, for example, doing 20 episodes of Vikings means we finished shooting in May 2017 and we started in May of last year and we've been shooting every day of the week Monday to Friday now everybody has Saturday and Sunday off but we've been shooting for a year. Which is an incredible amount of time. Can you imagine the way people can hone their skills on a project of that scale? We spend over a $100 million a season which is pretty incredible and because we are such a labour intensive industry a lot of that is spent on people. So I always think, wouldn't it be terrific to have four or five of these shows going that could over 100 people and you know it's possible. We could probably do that. In fact, we are currently in the process of putting an infrastructure together now to try and do more of this because we know this has been hugely successful in the United States and we've built a brand if you like, not just for Vikings but the fact that Ireland can produce this scale of drama both North and South when you think about it. Let's look at the Island as a whole. Look at what they are doing in Belfast and look at what we're doing down here. There are huge opportunities and even with Brexit I'm even thinking there are opportunities for sharing talent across North and South and we have on many occasions supported Game of Thrones in terms of sending people up to them and they would crew here and all that sort of stuff and on the post production side Game of Thrones initially a lot of the post production was done here and in Dublin. The premiere date for Vikings Season 5 was announced at the San Diego Comic-Con in July 2017. The first episode will air on The History Channel on November 29th, 2017.